Contrary to popular belief, you don’t need to be obsessed with the inner workings of the latest tech gadgets in order to work in a startup or scaleup. The Victorian entrepreneurial sector is looking to grow significantly over the next few months, and a lot of the startup and scaleup jobs Melbourne has to offer have nothing to do with tech. Every company needs someone to service customers, or manage the finances, market the products, and keep operations running smoothly. Sure, Artificial Intelligence (AI) scientists and software development skills will come in handy, but so will anyone who can help grow the enterprise. Why join a startup if you’re not into tech? Startups and scaleups – in a bid to attract and retain in-demand modern talent – have cultivated cultures that champion work-life balance, equity, personal growth, recognition and flexibility. The perks available at these young companies usually surpass those of traditional companies – even while the company is still growing – because employee satisfaction and appreciation is valued above all. Scaleups also tend to have growth problems rather than downsizing problems. Whilst there’s never no risk and no role is guaranteed for life, they do tend to be less risky than working at a startup. You’re also much less likely to end up with a redundancy as part of the latest corporate restructure. While programmers and innovators are hard at work, someone’s got to drive fresh strategies, new opportunities and a strong vision. A BDM can help nurture relationships, build a dynamic go-to-market strategy, set goals and lead a growth strategy unlike any other, eventually progressing a startup to scaleup level and a scaleup to a fully-fledged enterprise. These roles work closely with sales leaders to identify and secure new revenue streams. Some BDV roles could even be startup consulting jobs. According to Business Psychology Professor Tomas Chamorro-Premuzic,“20% of individuals in any collective group or organization can be expected to account for 80% of output or productivity… [and] talented people are the vital few.” Someone who can recognise real, robust talent (using data and intuition) can make all the difference. Client advocacy is a powerful marketing strategy – and it’s easy when you’ve got someone dedicated to realising success for the customer (and the company). From product improvements, marketing and policy reforms to data analysis, training and client support, the CSM manager job description in startups and scaleups is diverse, but ultimately looks to improve the customer experience for better retention and morale. Good salespeople and marketing professionals have always been a sought-after asset in any company – even more so when your product is relatively unknown in the market. But good managers are even more elusive, as they bring smart strategy, empowering leadership and great project management to the table too. Plus, someone who can keep up with marketing and sales trends and understand the changing digital landscape is key. “Those who can’t do, teach,” says the old adage. But imagine if those who can do taught too? We’d be training up a generation with real expertise – sure to take on the world well-prepared and fuelled with knowledge. In the startup or scaleup environment, where talented graduates and people from all industries need development and guidance as the business evolves, you can imagine why experienced educators are welcome. This is also a powerful skill to help a startup/scaleup build a pipeline of new customers and upsell/cross sell existing customers. Every action in today’s world has data attached to it, and someone’s got to take advantage of those insights in every department. “The ability to manipulate and analyse large, complex data sets, turning them into actionable business insights will have you kicking goals in this role,” says the recruitment team at Melbourne scaleup Envato. If you’re selling a service or product, you’ve got customers. And someone’s got to serve and support them, no matter what the offering is. Customer service roles become central to the operations of any company, especially when startups reach scaleup level, have more customers and need more hands on deck to improve their experience. Get to know Australia’s leading Scaleups. 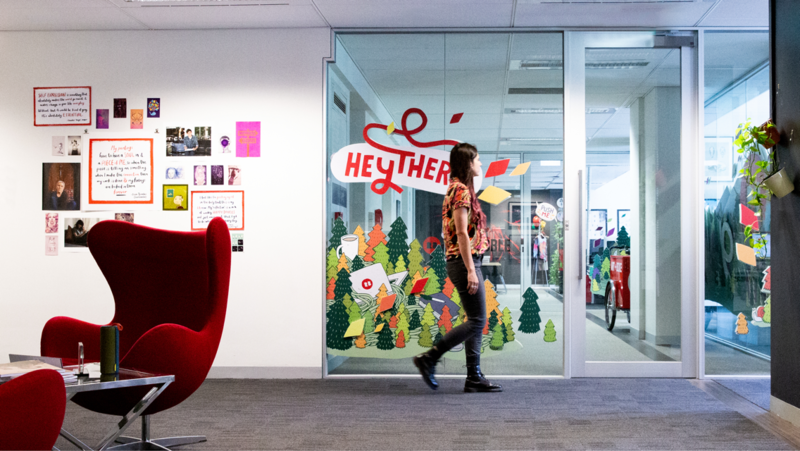 From Victorian based CultureAmp and RedBubble to internationals who’ve decided to call Melbuourne home such as Square and Zendesk.